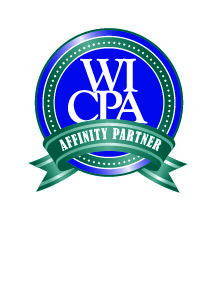 For over 30 years Professional Insurance Programs has partnered with Wisconsin associations to ensure members receive quality insurance programs from the most respected carriers in the industry at competitive prices. Members of the Wisconsin Dental Association, the State Bar of Wisconsin, the Wisconsin Veterinary Medical Association , the Wisconsin Institute of Certified Public Accountants, and the Greater Milwaukee Association of REALTORS are eligible to receive exclusive insurance products designed specifically for your industry. We encourage you to take advantage of our customizable plans offering high-level benefits geared toward the unique coverage needs of association professionals. Our knowledgeable insurance professionals are on hand to give the kind of expertise and service you expect. We continue to monitor changes occurring in the industry to provide our clients with the most up to date solutions to fit their needs. By knowing and understanding your concerns, we are able to help you make the right choices regarding your insurance coverage. As an independent insurance agency, we have options available to customize your insurance program to fit your lifestyle and your business. We are committed to be your resource, provide solid advice, and offer affordable insurance solutions. Error: Error validating access token: Session has expired on Monday, 15-Apr-19 09:32:54 PDT. The current time is Thursday, 18-Apr-19 13:21:54 PDT.